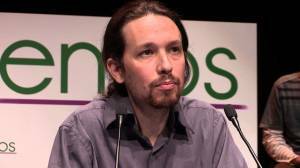 PABLO Iglesias is demanding independence referendums, electoral reform and measures to tackle corruption as part of five major constitutional changes. The Podemos leader also wants an improvement in social rights and to break links between the legal and political systems and big business. Referendums on independence for regions like Catalunya form part of the manifesto ahead of December’s general election. 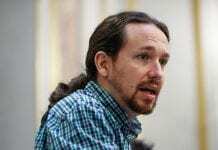 Iglesias is also calling for re-nationalisation, subsidies to low-paid workers wages to boost monthly wages to €900 and higher taxes for the rich . 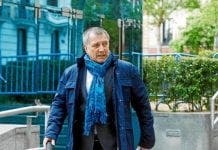 “It’s great that we have rich people, but for the rich to be rich, the key is not to impoverish the rest of the country,” he said. One would have to be rich, dishonest and anti-democratic, to argue against any of these proposals. Most of what he proposes would be good for the UK as well. The problem is, if this ever looked like happening the army would launch a putsch as 99% of the officers are surprise,surprise from old Fascist families. Come to that the public school officer class in the UK would do the same – a mouth will never beat a machine pistol. Even at the height of the dreamers cheering on Podemos, I’ve been saying they’ve no chance of forming the next government. Given their latest slump in the polls, I wouldn’t hold my breath if you were a Podemos fan. Afraid Sr Rajoy is still going to be the leader of Spain after the December election. Nice to see Squiddy as the cheerleader for the type of people I mentioned. You can’t neessarily believe the polls as we found out in the UK, but it’s looking like PP propped up by the C’s. Of course the C’s have said ‘no coalitions’ but they all say that until the carrot is dangled. I haven’t seen the full text of his proposals so can’t give a serious opinion on that. However his statement “It’s great that we have rich people, but for the rich to be rich, the key is not to impoverish the rest of the country”. I would like to know, exactly how do the “rich” impoverish the rest of the country? You can’t be serious – ah, wait a minute you could be Spanish. Brown envelopes, refusal to take cheques (the infamous paper trail),the use of tax havens (beloved of the UK’s tax evaders as well). having the nation’s politicians in your pocket protecting your interests – enough to go on with?